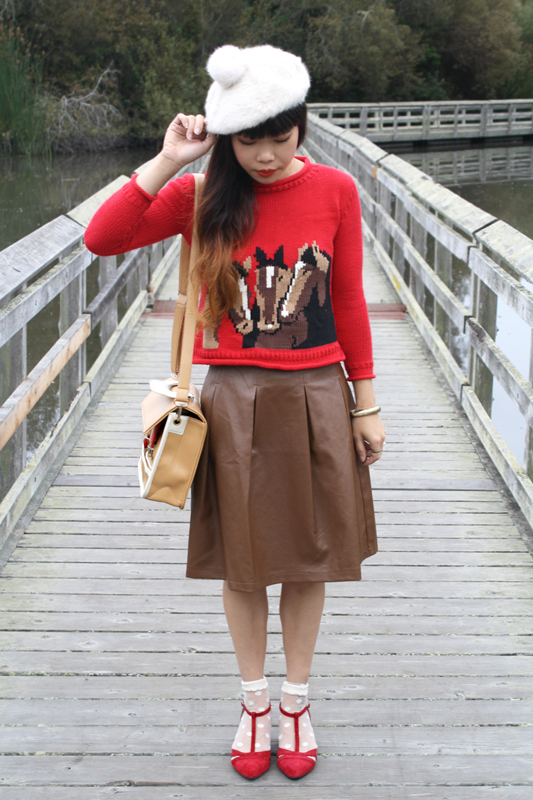 This is one of the looks I put together for Ma Petite Shoe's lookbook. I can't wait to see the final product! 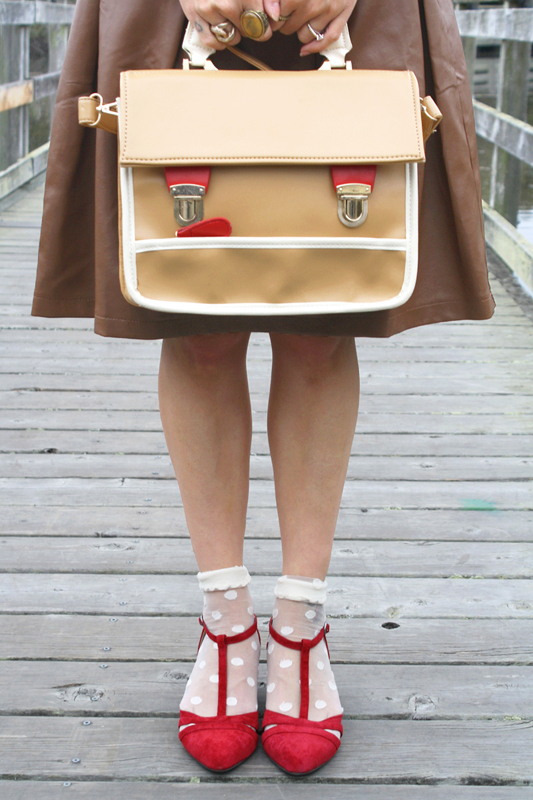 Here I am wearing Cool as a Cucumber in red by BC Footwear. 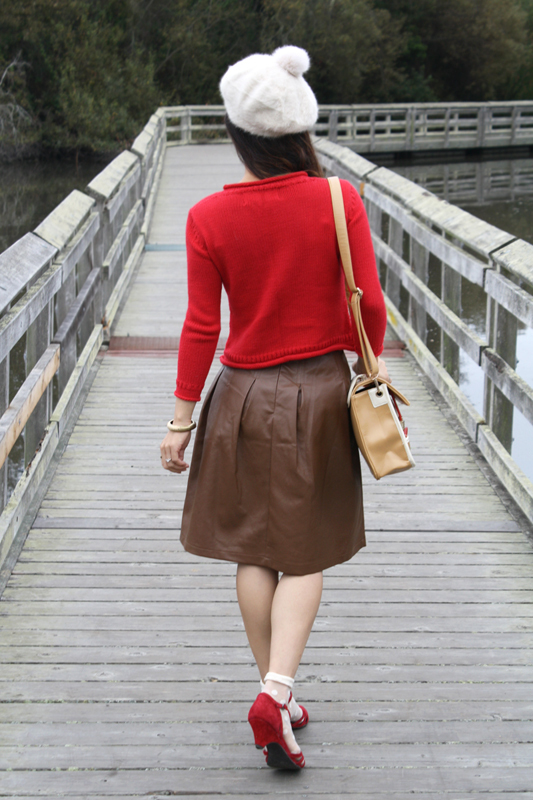 These shoes have a vintage strappy design in the most gorgeous red suede material. A classic shape like that will forever be in style. Did I mention they are incredibly comfy too? 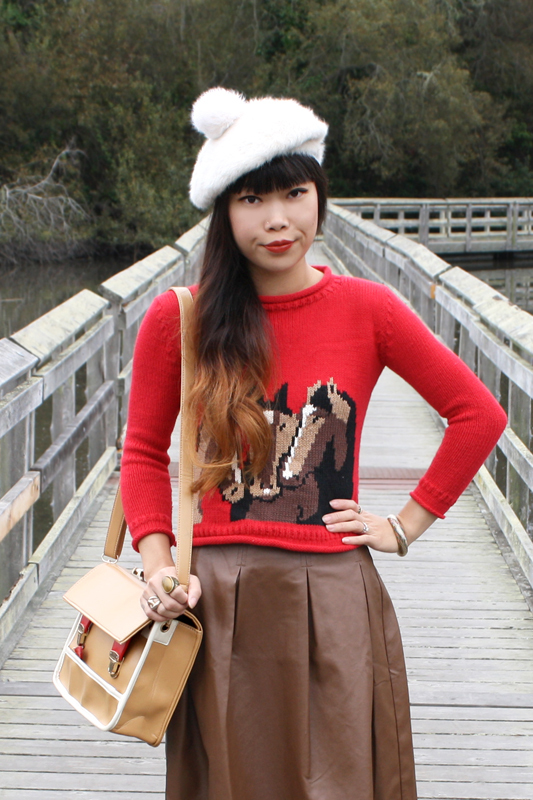 I wore them with a vintage hand-knit sweater with adorable horse print, leather skirt, and pom pom beret for a fun fall look! 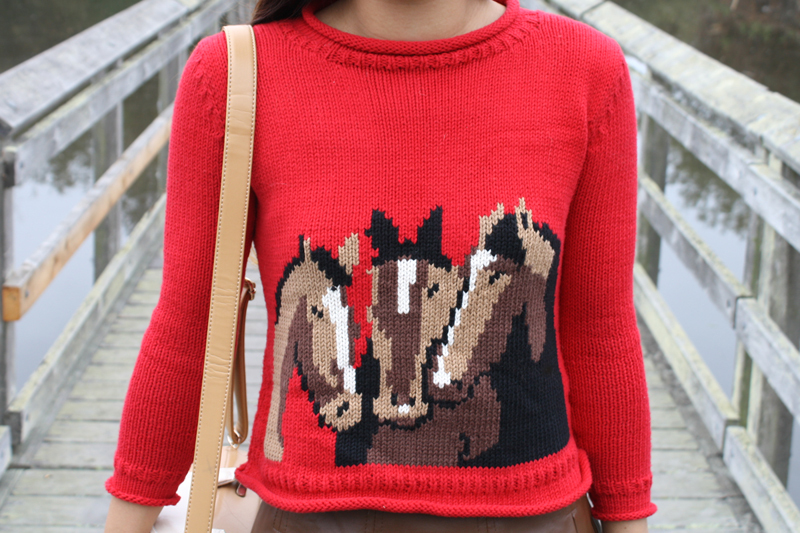 Thrifted vintage horse print hand-knit sweater. 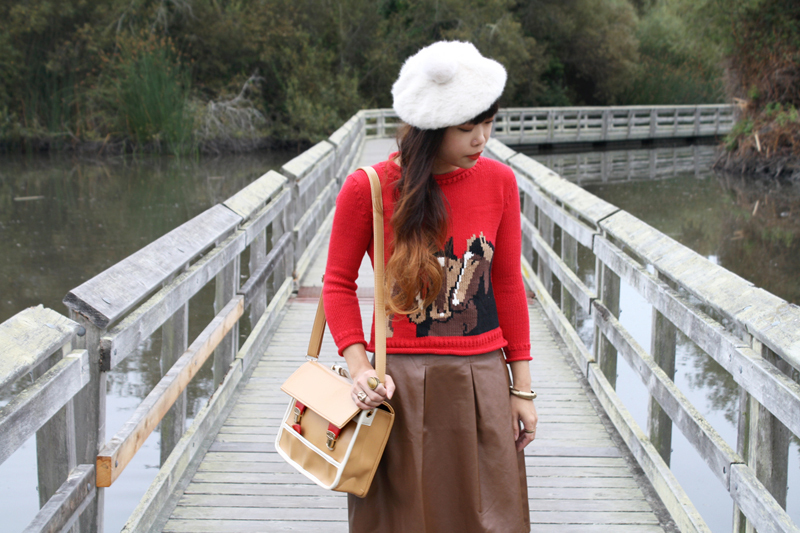 Mohair pom pom beret from Hong Kong. Cool as a Cucumber in red by BC Footwear c/o Ma Petite Shoe. 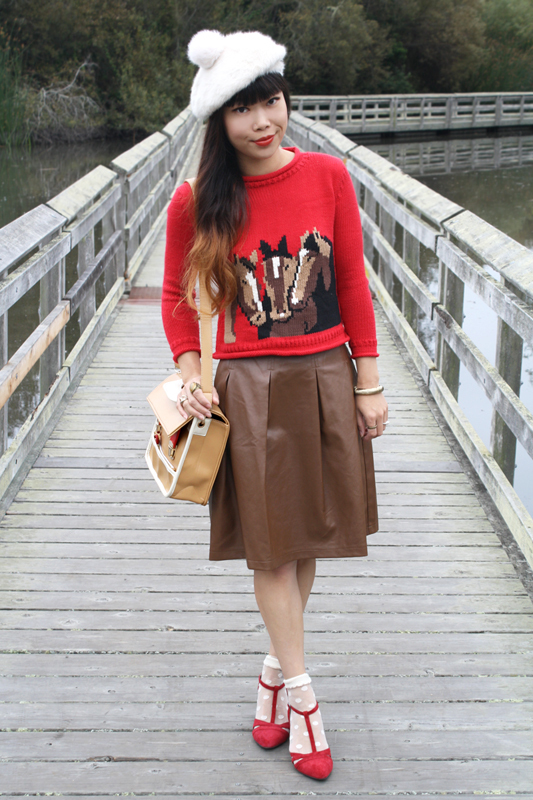 Wow - totally lovin' the brown leather skirt. Cute! Aaah, such a cute outfit! I love it! So not common and amazing! FANTASTIC FANTASTIC FANTASTIC! My favorite look I've seen lately...(like, anywhere). This outfit is adorable! I genuinely love the jumper and beret hat combo so, so much. What do you think about wearing those shoes with tights? I think they look super cute on you with the little socks but it's rather cold in UK at the moment.